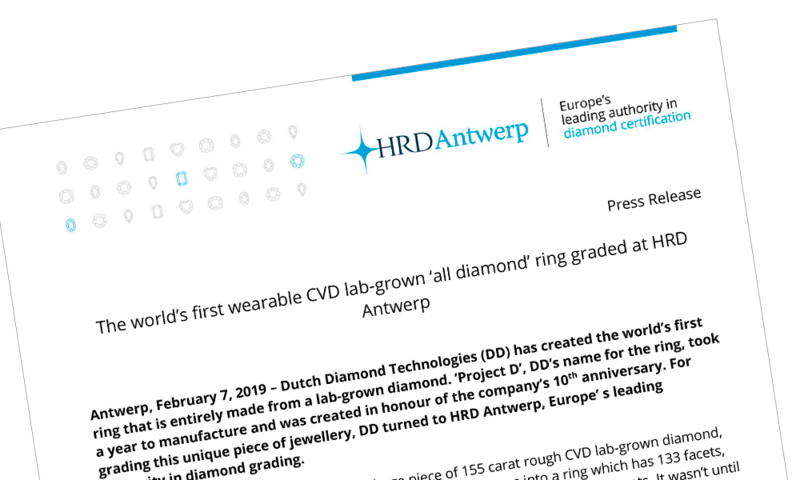 Antwerp, February 7, 2019 – Dutch Diamond Technologies (DD) has created the world’s first ring that is entirely made from a lab-grown diamond. ‘Project D’, DD’s name for the ring, took a year to manufacture and was created in honour of the company’s 10th anniversary. For grading this unique piece of jewellery, DD turned to HRD Antwerp, Europe’ s leading authority in diamond grading.